To use the Websocket feature a private email is required. Private addresses can be purchased individually as part of a API Developer Subscription. The API is the easiest way to reserve a private address. A simple HTTP POST will do. Sign in to your Mailsac account. 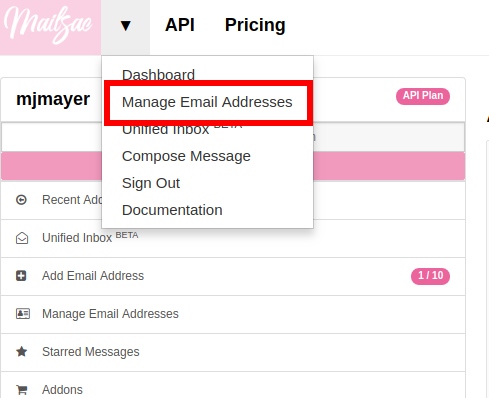 Select Manage Email Addresses from the dropdown. 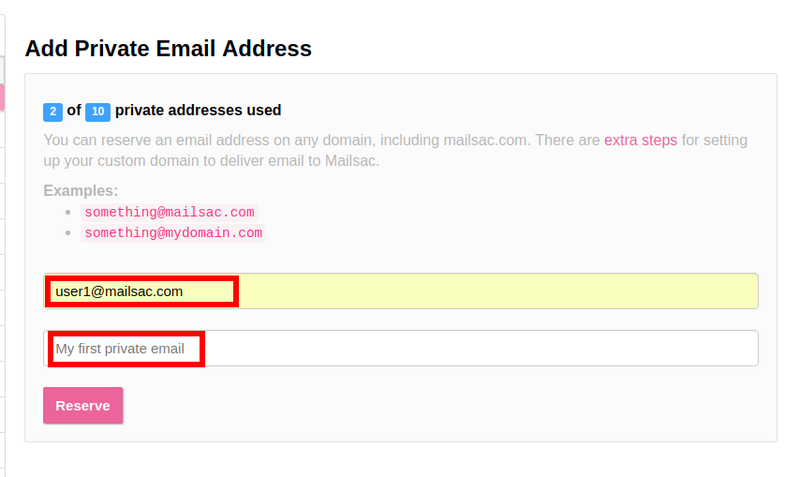 Fill in the desired email address and optionally add a note. 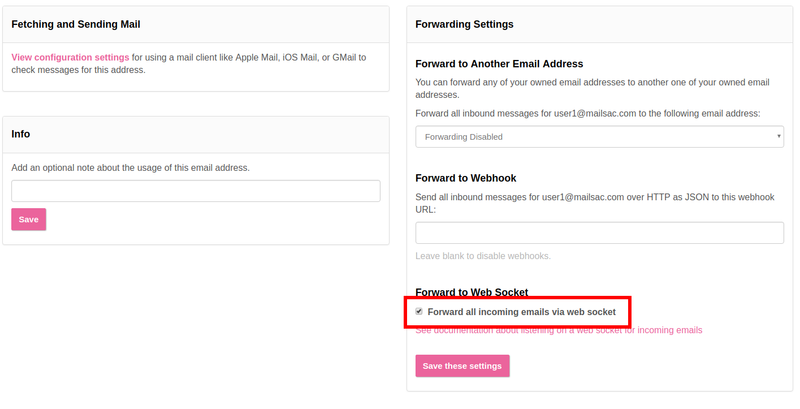 Select Manage Email Addresses and choose settings next to the email address you want to configure for Websocket.